Martha Cox is a proud member of the Science Club and is brainy with a secret love of dancing. She has a fun-loving sidekicky personality and becomes an adoring devotee of Gabriella. Cast an actor who is kind and funny. The role has important featured solos but the voice quality is not as important as the character. If you have a student that can show off some crazy brake dancing moves, bravo! Brava! 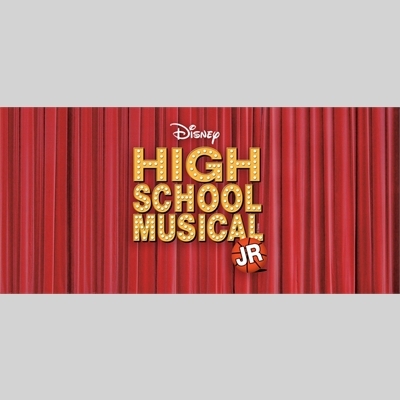 The Ensemble makes up all the other characters who populate East High School: Jocks, Brainiacs, Thespians, Skater Dudes, Cheerleaders, Ms. Tenny, Science Decathlon Moderator, etc., with a few featured solo parts further described below. The ensemble is present throughout the show and provides the vocal power for the group numbers. These roles vary in size and in vocal, acting and dance requirements, so you can cast performers with a wide range of abilities. The ensemble participates in several self-contained numbers, which provide great opportunities to use groups of students that can rehearse together. (For example, the sixth-grade chorus in one number, the seventh-grade classes in another, etc.) Don't be afraid to mix your age groups here. Look for students whose enthusiasm and ability to take direction can allow your ensemble to look like a perfect representation of your school and community. Ripper is a cool skater dude who is, lo and behold, a cello player! Cast a student who can sell this fun "double personality" with one short but sweet air cello solo! In the big Audition scene, James is the auditionee who sings so badly off key it would scare anyone! Cast a person who can confidently sound bad& this can be a challenge for a good musician. Susan is the "pop star wanna be" audition candidate. Cast someone who is not afraid to go over-the-top with this short yet humorous part. Cathy is the auditionee who can belt like Ethel Merman! Cast a student that can fill the auditorium with her voice. It doesn't need to be pretty! Cyndra is the final auditionee and she sounds like an opera audition for the Met. If you have a young singer that can imitate an obnoxious vibrato in a serious manner, there's your perfect choice!